The Jewish State of Israel. Last week, Israel fielded a protest at the United Nations because Palestinians were firing mortar shells and rockets across the Gaza border, using white phosphorous; the chemical frequently used in weapons since World War II, which causes severe burns. Three were fired in September, and on November 19th (and last August) the Salah al-Din Brigade fired four mortar shells containing white phosphorus into southern Israel from the Gaza Strip. White phosphorous, a.k.a. WP, “Willie” or “Peter” is a material made from an allotrope of the chemical element phosphorus used in smoke, tracer, illumination and incendiary munitions. The use of phosphorous on civilians is banned under international law. 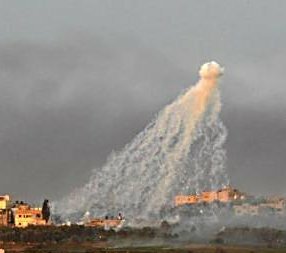 Israel admits to using white phosphorous during Operation Cast Lead, two years ago, in Gaza, but in risking UN sanctions, have since stopped. At that time, NATO forces also used white phosphorous, but have also since reportedly stopped. The United States has accused Taliban militants of using white phosphorus weapons illegally on at least 44 separate occasions and likewise, in May 2009, Colonel Gregory Julian, spokesman for General David McKiernan, the commander of U.S. and NATO forces in Afghanistan, confirmed that Western military forces in Afghanistan use white phosphorus in order to illuminate targets or as an incendiary for destroying bunkers and the equipment of enemies. In November 2009, Houthi fighters in Yemen claimed Saudi warplanes dropped phosphorus bombs on villages in north Yemen. The Saudi government denied this. A coalition of militant Palestinian groups (including the al-Qaeda linked, Ansar al-Sunna) known as the Popular Resistance Committees claimed responsibility for the latest attacks on Israel. They claim it was retaliation for Israel’s targeted killing of two leaders of the al-Qaida-linked Army of Islam in recent air strike on Gaza last Wednesday. Israel claimed the group was planning to kidnap nationals in Sinai Peninsula to use them as bargaining chips for the release of Palestinian prisoners. Meanwhile some polling by the Jerusalem Post does show some improvement. 56% of Gazans and 53% of West Bank Palestinians are sick of Hamas. The Islamo-Fascists in green are getting the Palestinian cause nowhere! These numbers are down from the 35% and 44% who had favorable views of Hamas in July 2009. Fatah got high approval ratings, also in Gaza, which is a positive sign. While most Palestinians (like Israelis) favor a two-state solution, they see it as a step towards having a one-state solution someday, Insha’Allah. 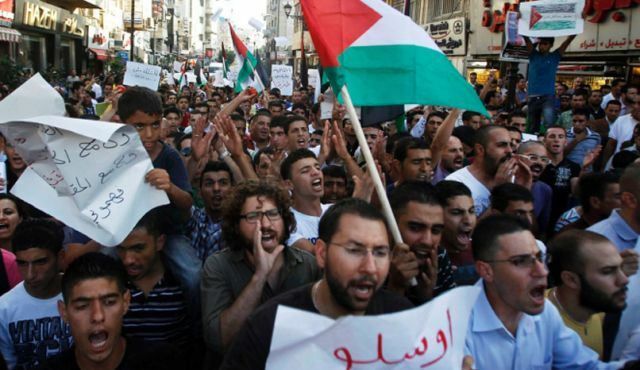 Palestinians in both the West Bank and the Gaza Strip hold animosity toward Iran. Altogether, 54% of Palestinians think peace with Israel is a possibility and only 43% are despondent. The majority are ready for renewed Peace Talks with the Jews. 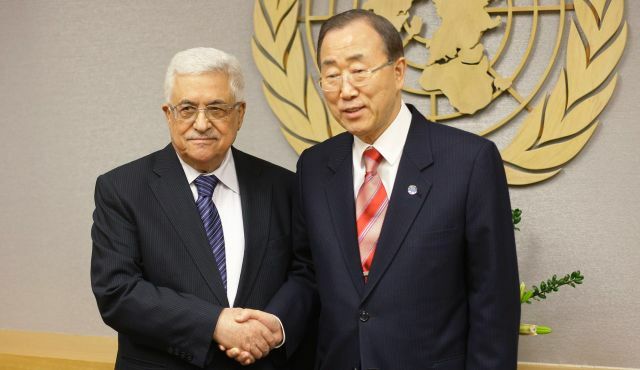 Abu Mazen is the same as Mahmoud Abbas. Mediterranean Melt-Down or Wonderful Water Workings? World leaders in water purification with firms like Aqwise, IDE Technology and others, the Jewish Country still sadly has a fresh water shortage. 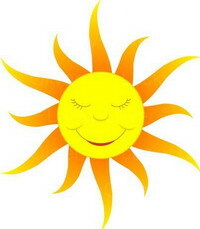 This year’s winter rains were nice, but, alas we are still in a severe drought. The Sea of Galilee, a main source of water in the north, has reached record low water levels and what’s even worse, while the Jordan River, which flows out of the southern end of the Mediterranean, could soon slow to a trickle in some places. Well a massive desalination facility on the Mediterranean seashore, with a network of pipes snaking their way beneath the beach and reaching out far into oceanic depths, should help solve the problem. The plant is among the largest in the world. It miraculously changes sea water into drinking water. Standing next to the city of Hadera in the north, the third in a splendid row of five facilities which dot the coastline, with the design in mind to provide two-thirds of the Israel’s drinking water and reroute the National Water Carrier. The National Water Carrier is a water transport system which has sustained Israel for 50 years. IDE Technologies is the company responsible for the plant. President of the Jewish Country, Shimon Peres inaugurated the facility in a very special ceremony which included a series of interconnected round and rectangular concrete buildings. The thing has been in operation since January. Water sources have been the source of water conflict for Israelis, Palestinians and other Arab states for a long time now. Well the new desalination plan seeks to solve the problem. Coastal construction roar is not without controversy, though. Enviros are concerned about the impact on ocean life. 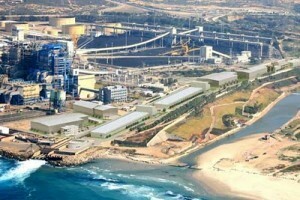 You see, the $425 million plant (of the $500 million which Israel uses to connect the string of coastal plants to the nation’s water system) uses reverse osmosis technology, a process which does not involve heating the sea water as the larger plants do. The plant produces 33 billion gallons of fresh water each year. Well, it’s not over yet, relations between Israel and Turkey are still prickly. Israeli Deputy Foreign Minister Danny Ayalon refused to shake the hand of Turkish envoy, Ambassador Ahmed Oguz Celikkol and made him sit on a sofa, lower than his seat, during a meeting in Jerusalem this week. Also, there was no Turkish flag on display at the meeting. Turkish Prime Minister Recep Tayyip Erdogan continues to criticize Israel’s use of force against the Palestinians – as this month violence has continued between Hamas, the IDF and Israeli border police. Ayalon on Monday, summoned the Turkish ambassador to criticize a television drama in Turkey which depicts Israeli security forces as kidnapping children and shooting old men. This is the second such drama in Turkey broadcasting in two years. The relationship between Jews, the Jewish State and Turks is complicated. While Zionist pioneers fought alongside the English in the fight for control of Palestine between the British Empire and the Ottoman Empire, during World War I; many years ago Turkey were the ones to embrace Jews exiled by the Spanish Inquisition, and there have remained Jews in Turkey, successful and free, ever since. So we should be cautious before labeling Turks as anti-Semites. Turkey and Israel grew close in the mid-1990s, basing their alliance on mutual fears of Iran and Syria. Israel has supplied hundreds of millions of dollars of military hardware to Turkey over the years. 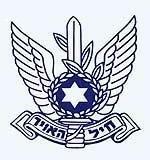 Furthermore the two countries conduct joint naval exercises and the Israeli air force trains over Turkish airspace. When Turkey scrapped a military exercise involving Israel last year, the feud began to get ugly. Since Erdogan’s government came to power in 2003, Turkey has forged closer ties to Iran and Hamas. Turkey believes Hamas must play a key role in the Palestinian territories – One Jerusalem strongly disagrees. He was alluding to Turkey’s past conduct against Armenians, Kurds and Greek Cypriots. A tunnel in Jerusalem’s Old City, near Jaffa Gate, has flyers posted on its wall, depicting the Turkish genocide of Armenian’s in the beginning of the last century. The tunnel is near an Armenian restaurant. At an Israeli Air Force School Graduation Ceremony on Thursday, Defense Minister Ehud Barak called on Mahmoud Abbas, President of the Palestinian Authority to reenter in negotiations on the Middle East peace process. It is expected that Abbas will meet with Egyptian President Hosni Mubarak on Sunday, when the two leaders are expected to discuss the US-backed plan. Also present as the ceremony was IDF Chief of General Staff Lt. Gen. Gabi Ashkenazi. 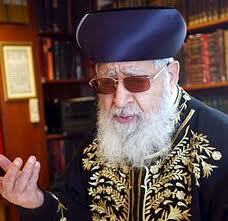 He pointed out the dangers and threats that the Jewish Country faces. What do you do when your daughter is trapped in Tulkarm with an abusive Arab husband and the Palestinian Authority won’t do anything about it, much less the Israeli Army who won’t risk a diplomatic incident over some woman’s domestic abuse issues? Simple. 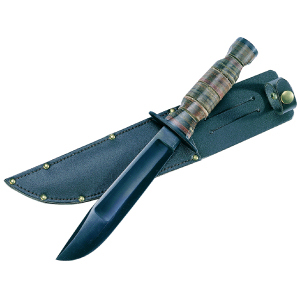 You call on some former commando badass Israelis to take care of the situation themselves. The woman in question, an American citizen, was being held captive by her husband, who refused to let her out of the house and threatened that if she left, she’d never see her two-year-old son again. So the woman’s parents called an Israeli who used to serve in an elite IDF commando unit, and explained the situation to him. He then took responsibility for solving the predicament, enlisted a few of his old buddies from back in the army days, and put a sort of vigilante mission together. The team began gathering intelligence on the family’s routine, kept doing this for a period of a few weeks, and after enough had been gathered, they staged the rescue. This of course required infiltrating Palestinian Authority territory, something that can at any time result in another kidnapping. Fortunately, everything worked out, the woman and her son were rescued, and the US Consulate was notified. The woman’s parents offered to give the rescuers a reward, but they refused, saying they did not embark on the mission for the money. Good work, men. Keep making us proud. The Italian – throws the cup and walks away in a fit of rage. The Palestinian – blames the Israeli for the fly falling in his coffee, protests the act of aggression to the UN, takes a loan from the European Union to buy a new cup of coffee, uses the money to purchase explosives and then blows up the coffee house where the Italian, the Frenchman, the Chinese, and the Russian are all trying to explain to the Israeli that he should give away his cup of coffee to the Palestinian. As a result of the attack on the UN school yesterday and the condition of the population in Gaza a decision was made to open a “Humanitarian Corridor”. Specific areas in Gaza are now free of attacks and are kept quiet for the population to get food, water and medical supplies. The attack we mentioned yesterday turned out to be as bad as we thought it would be. Depending on who you ask there were 30 to 40 killed, mostly civilians. The “Al Fahorah” school was a UN school and while it was closed it was housing refugees that were taking shelter there. The School, according to the army, was being used by Hamas commanders as a base and rocket units were firing from the school yard. This is the video the army put out of the rockets being fired from the School – these were taken Dec. 31, 2007. Mahmoud Darwish, regarded as the Palestinian national poet, died yesterday at a Texas hospital after heart surgery. He is one of the main authors of the Palestinian narrative, and the one who crafted the Palestinian declaration of independence in 1988. Whatever your political opinion is, it is a big loss for the world of poetry. From the Jewish side of the spectrum, Israel suffered a great loss not too long ago when Dahlia Ravikovitch died in August of 2005. In fact, Mr. Darwish and Mrs. Ravikovitch met more than once and highly regarded each other’s works. I hope one day Palestinian children will learn of Dhalia’s poems in school while Israeli children will learn of Mahmoud’s works. 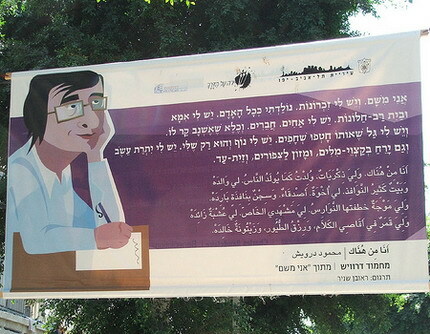 In fact, Tel Aviv has already honored both poets by including them in the “Shira Hal Ha’derech” project (translated as “Poetry to Go”), which features short poems on posters all across town. There are lots of things to be optimistic about, it seems. Well, I don’t think anyone’s really excited about these news. It’s good that things start to roll, but it may be too little, too late. 1. The truce may enable Hamas to smuggle Gilad Shalit out of the Gaza Strip and into Egypt, turning this tragedy into a much longer affair. In addition, there are no illusions about this cease fire. In the meantime, Hamas supplies itself with new ammunition and new rockets, and the flames could be back in a matter of days. 2. Iran stalls time. After all, Mr. Bush is about to leave office, and Ahmadinejad knows that while Bush is keen to attack, Obama (which polls project him to be the next US President) is keen to avoid any such confrontation. “So it’s Okay to show signs we’re ready to enter the diplomatic path. These things take months and years, and we only need to stall Mr. Bush for five months”. 3. Yes, after almost two years, we may finally know what happened to Ehud Goldwasser and Eldad Regev. However it’s highly estimated that they’re dead, and in exchange for their release, Israel will let go of Samir Kuntar, the last bargaining chip we have when it comes to extracting information from the Hezbollah regarding the missing pilot Ron Arad. 4. It’s “common knowledge” in recent years that the state of Israel is actually controlled by the Ministery of Finance bureaucrats. The Ministers come and go every two-or-so years, but the bureaucrats are the ones who sign the papers and release the money, while having the chance to push forward their agenda over long periods of time. They have practically privatized any thing imaginable in the last decade, and make this country unbearable for more and more people: Students, the elderly, single moms, etc. Now they’ve done something truly exceptional — entirely out of character — and stood up against the Minister when he suggested striking another blow at the average citizen. Honestly, this is the only report that actually excites me. 5. Oh, and I’m also excited about the summer. 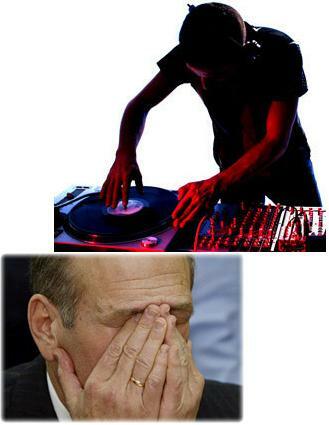 PM Ehud Olmert knows his time in office is coming to a close. He knows he doesn’t have a political backing to push forward any peace accord with the Palestinians. He knows he could end up in jail, or alternatively merely end up as the most-corrupted Israeli PM (to date) in tomorrow’s history books. This is a desperate period for Mr. Olmert, and he’s got nothing to lose. In recent years, the Israeli media is steadily growing more and more cynical. Leading commentators (both on air and in print) have become accustomed to label practically any move by Israeli politicians as a “spin” — i.e., a statesman’s attempt to distract the public attention from his wrongdoings by generating an alternative “buzz”. As a result, the Israeli public now takes the regular use of “spinology” for granted. We’ve become indifferent, and many of us won’t bother to even cast our vote next time. Yesterday it was published that Olmert’s delegates and Abu Alaa (the head of the Palestinian negotiation team) have begun to formulate a draft of the basic agreements made by both sides regarding the minor issues of the peace process. 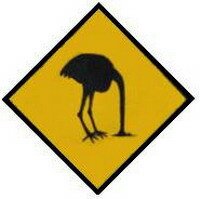 There is yet no discussion regarding the core issues, such as Jerusalem and the permanent borders. Nevertheless, many politicians, such as Avigdor Liberman, were quick to point out that this draft is meaningless, and wouldn’t gain the Knesset’s support. Most Israeli people clearly see this as a “spin” — But if so, why do the Palestinians play along… Abu Mazen certainly has his own reasons to spin the Palestinian public opinion. If this wasn’t enough, Olmert made sure to issue a second spin: He offered Abu Mazen to send the IDF back into the Gaza Strip in order to conquer it again(!!) and remove the Hamas militants, who carried out a military coup against Abu Mazen’s Fatah movement exactly a year ago. Accepting such a move would obviously be a political suicide for Abu Mazen, and it has the potential of igniting an all-out civil war among the Palestinians. Olmert’s completely aware of this, of course, and still he suggested this outrageous offer — maybe as an attempt to court his right-wing opponents. Nevertheless, Olmert wasn’t the first spin-doctor in modern history, nor will he be the last. For example, still another outrageous public statement made yesterday (that’s already three in one Shabbat) belongs to the Minister of Transportation, and former IDF Chief of Staff, Shaul Mofaz. 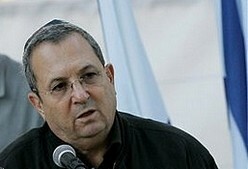 He told the media that Israel will have no choice but to carry out a military strike on Iranian nuclear facilities. Besides this statement being strategically stupid and diplomatically harmful, it was issued as if Mofaz’s opinion is the official Israeli stance. Could it be that both Olmert and Mofaz play “who has the biggest balls”? Are we too cynical? Do our political representatives genuinely only care about their own survival? I’d like to think we live in a true democracy and not in a Spinacray… but in the meantime, I might just turn off the news and watch the Euro Cup. The second Intifada, which erupted seven years ago, had developed into the worst period of violence in the history of Jewish-Arabs relations in Israel. In September 2000, Ariel Sharon’s controversial visit to the Temple Mount was followed by Palestinian riots and protests in Jerusalem. During the riots in Jerusalem, 7 Arabs civilians were shot to death by the Israeli police, and a few hundred were wounded. The Or Committee that investigated the tragic events of October 2000 recommended that the state of Israel should change its policy towards the Arab minority in order to decrease its growing frustration. 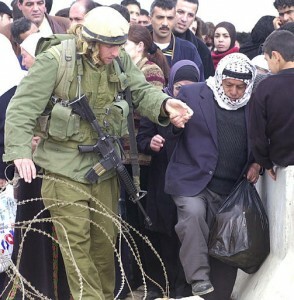 Unfortunately, the situation kept on deteriorating: in April 2002, the battle in Jenin took place. Since then, Israeli Arabs were not allowed to enter Jenin. As a result, many Arab civilians could not visit their families. Last week marked a change in this policy: hundreds of Israeli Arabs were allowed to enter Jenin after seven years of separation. I am aware that this is not a popular view in Israel, but I believe that this move should be extended in order to increase mutual trust between us and the Palestinians. If the Palestinians are to live in poverty in restricted areas, we shall never have peace with them. More actions are needed to bring the local market in isolated Arab towns back to life. Imprisonment of the Palestinians will surely lead to an intense frustration, and we already witnessed how frustration can blow up in our faces.